Maybe you worked your first job last year. Maybe you've had friends, family or professionals filing your taxes for years. Whatever your personal circumstances, you're finally ready to take the plunge. Taxes can seem complicated and cumbersome, but if you're nervous about doing your taxes for the first time, we've got you covered. Here are some tips to help you get started. The first step in filing your taxes is determining if you need to file. If you are under age 65, single and had gross income of at least $12,000, you must file your taxes. Chart A can be found on page 10 of the instructions for 2018's 1040 and gives a detailed picture of whether or not you need to file. However, even if you don't need to file a return, if your employer withheld federal taxes from your paycheck, you may be entitled to a refund, so it is in your best interest to file. Don't let long forms and complicated language intimidate you. A majority of people who are filing their taxes for the first time are qualified to file using IRS Form 1040EZ. If you earned less than $100,000 in taxable income, do not claim any dependents and file as single or married filing jointly, you are eligible to file using this form. Before you start to file, make sure you have received a Form W-2 from every employer you worked for. It not only provides you with your gross wages, but also informs you of how much you have already paid towards your federal taxes throughout the year. Many of us have to pick up side jobs to make ends meet. If you performed freelance or contract work and earned at least $600, you must also have a 1099 from the company you worked with before you file your 1040. If you have been contributing to a 401(k), 403(b) or other retirement plan through your employer, you may be able to claim the Retirement Savings Contribution Credit. While a deduction reduces your taxable income, a credit reduces your tax liability dollar-for-dollar. The maximum credit amount is $2,000 if you are single or married filing separately or $4,000 if you are married filing jointly. This means, if you are single, owe $2,900 in taxes and qualify for a $2,000 Retirement Savings Contribution Credit, your tax liability for the year is reduced to $900. On December 22, 2017, President Trump signed the Tax Cuts and Jobs Act and shook the personal income tax industry to its core. Some of these laws have not yet gone into effect but many of them have, and they benefit the average, hardworking American. The TCJA nearly doubled the standard deduction for single filers to $12,000 and joint filers to $24,000. In 2017, the standard deduction was $6,350 for single individuals and married couples filing separately. The vast majority of Americans could not afford to make enough charitable contributions to reduce their taxable income past the standard deduction while also keeping themselves and their families above water. Getting a refund feels great, especially if you feel overwhelmed by debt. However, this money would serve you much better throughout the year. If you receive a large refund, talk to your employer's HR department about adjusting your withholdings for 2019 by adjusting your W-4. The more allowances you claim, the less money will be withheld from each paycheck. 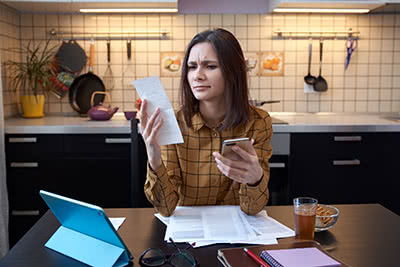 If you had no tax liability in 2018 and expect to have no tax liability in 2019, your employer will not withhold any federal taxes from your paycheck.